Home / Science / "We will put our flag on the moon"
"We will put our flag on the moon"
TEL AVIV – Billionaire sponsor and president of SpaceIL, Morris Kahn, announced during the weekend that his team would start working immediately on the Beresheet 2.0 spacecraft after the first version landed on the moon on Thursday night saying : "We will put our flag on the moon." . " Israel last Thursday was unsuccessful in its attempt to become the fourth country to land on the Moon when the car-sized spacecraft made it stay close to the lunar surface, but it crashed just before landing due to a failure in its main engine. "The response we have received has been incredible, the amount of thanks and letters is incredible," Kahn told Channel 12. "Over the weekend, I had time to think about what happened, and the truth is that seeing all the encouragement and support from people all over the world is amazing. "It gave me time to think and I thought it would be a shame to leave things like that. I have come to announce a new project: Beresheet 2. We started something and we have to finish it. We will put our flag on the moon. " "The Beresheet 2 project starts tomorrow," he added. "A missionary team will meet tomorrow to begin work." Kahn said in an English video on Twitter: "We're going to put him on the moon, we're going to complete the mission." Most of the $ 100 million sum that cost to build Beresheet was provided by private philanthropists, the main one being Kahn. Kahn said three elements motivated him to finance the project. The first was to take Israel to the space age. The second was to encourage young people to get involved in the sciences. The third was to make the Israelis proud. "This is an incredible achievement for all of us. It is a uniquely Israeli project. " He told Channel 12 that he expected the next time the public would cover some of the costs, possibly through a crowdfunding campaign. "We will obtain funds from donors and the public," he said. "Everyone wants to participate, I received an offer from someone rich in the United States who offered to pay a lot of money, but I think the funds should come from the public, this should be a project of the people." After the Beresheet accident, Prime Minister Benjamin Netanyahu seemed to indicate that the government would support a follow-up effort. Unidentified government sources told Channel 12 on Saturday that the government would back the project, although it was unclear to what extent. "We do not have the support of the government," Kahn said. "If they help, fine, but we have the public." While the engineers at SpaceIL and Israel Aerospace Industries are not sure what exactly caused the crash, they believe it was a failure in the altitude measurements that caused a short circuit in the main engine only six miles above the surface. Moon. This meant that the lander could not stop in time. The co-founder of SpaceIL, Yonatan Winetraub, said at a press conference after the accident: "We did not reach the moon in one piece". That stinks. However, engineering and science are difficult. Sometimes it does not work the first time, sometimes it does not work the second or third time. But it will work. " The former astronaut and second man on the moon, Buzz Aldrin, on Thursday, tweeted his condolences to the team. "Never lose hope: your hard work, your teamwork and innovation are inspiring for all," he wrote. Condolences to the Beresheet lander @TeamSpaceIL so it was almost! The communications were lost with the spacecraft only 150 meters (!!!) above the surface, and could not stop the landing. Never lose hope: your hard work, teamwork and innovation are inspiring for all! SpaceIL entered the Google Lunar X competition to land a spacecraft on the Moon about eight years ago. 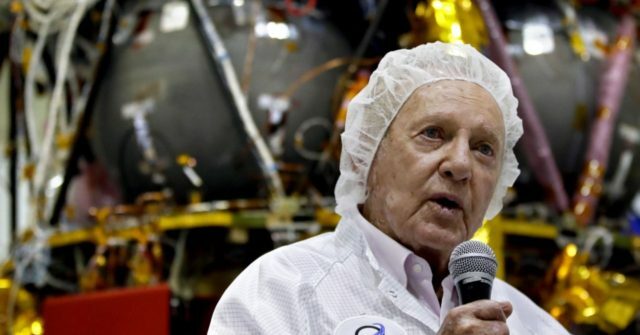 Lunar X responded to Aldrin's tweet saying that he would still be awarding the SpaceIL team a $ 1 million "Moonshot Award" in recognition of his "incredible" achievements.